Want Lots of Choices for Your Next Fundraiser? Arguably one of the biggest money makers of them all, the fundraiser catalog can be very lucrative, as long as you have good merchandise at reasonable prices. The secret is to have the right catalog for the right time of year. House and garden items do exceptionally well in the spring, for example and Christmas items do well in late autumn. Pay special attention to the layout though – a jumbled looking catalog with poor descriptions will mean lower sales. This is another type of fundraiser that can be done on-line or in the traditional “pre-sales” or “order taker” methods. The internet method is the simplest and has the advantage of letting you contact people outside of your community – the whole world really. Once you’ve selected your catalog, contact everyone you know nationwide and ask them to shop the catalog online at the provider’s web site. They will either need to order from a special web page or enter special code to make sure that your group gets credit for the sale. At the end of the fundraiser, a check for the pre-negotiated profits is sent to you. One reason why these catalogs are so popular is that they require no up front investment and very little work – the money is collected by the web site and the goods are shipped directly to the customer. The brochure version of this works just like any other pre-sales or order taker fundraiser. Your sales team is given a specific catalog with many different products to choose from and they collect money up front. At the end of the fundraiser, they deliver the goods to your customers. This requires a little more work, but the face-to-face contact does a lot to enhance the good feeling for the customers. 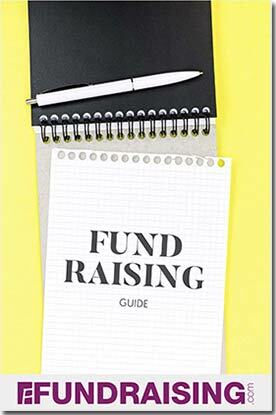 Fundraising.com – offers a few types or order-taker catalogs, along with an extensive online program, where you can offer supporters magazines, flower bulbs, cookies and more. They also offer a big selection of other fundraising products, from discount cards to pretzels.